Now it's time to carve the braces! 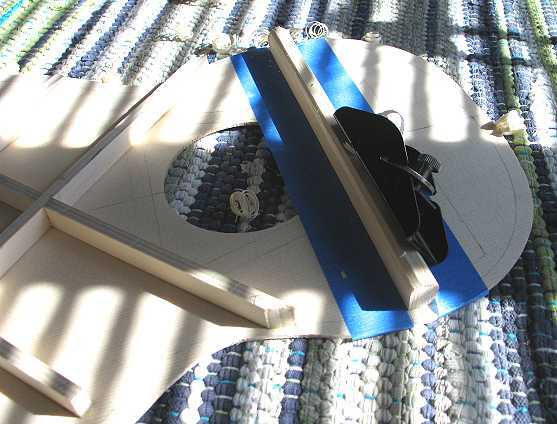 Here I am using a small plane to shape the upper face brace into a nicely-rounded shape. 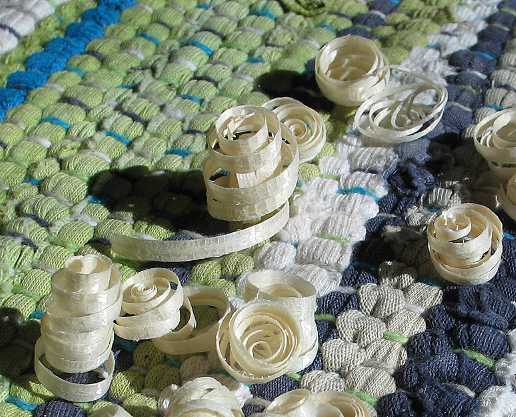 Lots of cute little curly shavings!!! 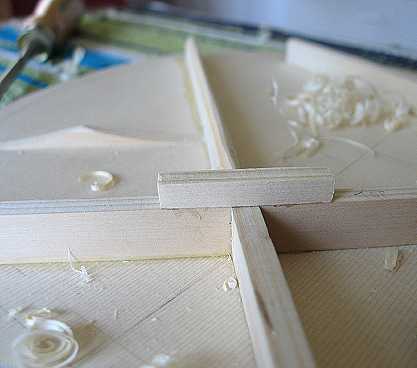 Here I have glued a strip of spruce to cap the X-brace intersection. 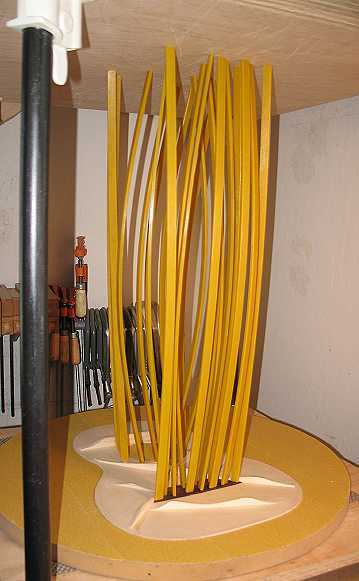 I'm almost done with the rough shaping of the braces; I do the rough shaping and scalloping with a 1/2" chisel. 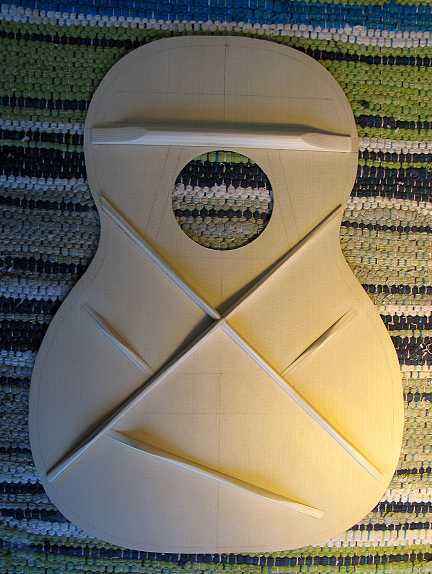 After I do the other X-brace, I will use a fingerplane to shape the braces to a triangular shape. 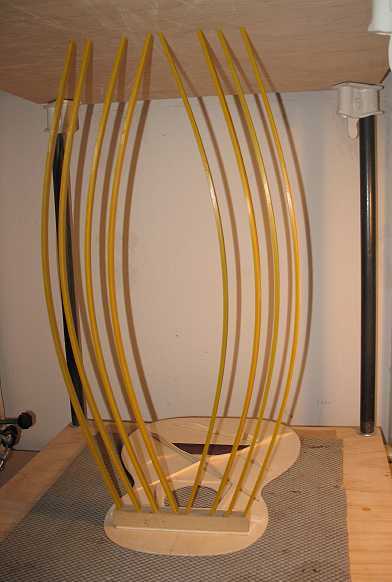 Here are a couple of photos of the bracing after I have sanded and smoothed the braces with 120-grit sandpaper. 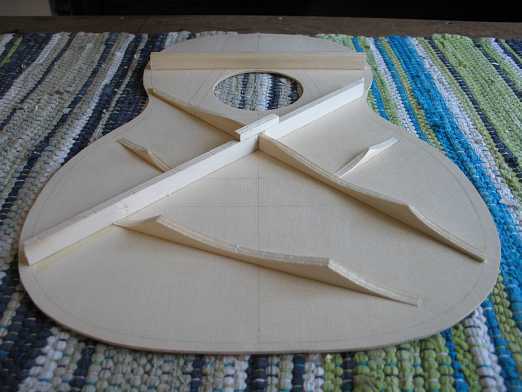 Here I'm gluing the soundhole braces and the bridge plate. Once that's out of the go-bar deck, I will glue on the upper transverse graft, which goes on flat. 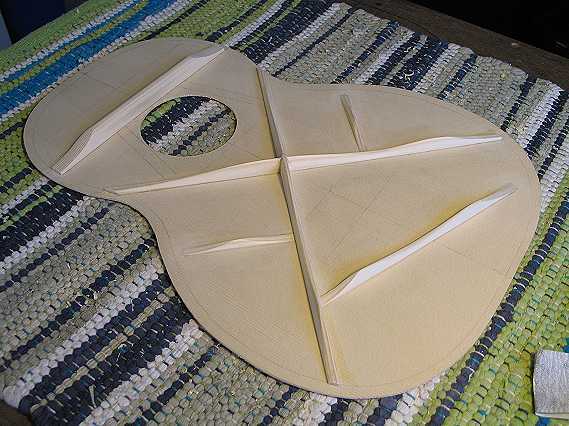 Now, after gluing on the bridge plate and soundhole braces, it taps to a B-natural! At the moment, the top, when tapped, sounds out a B-flat tone!